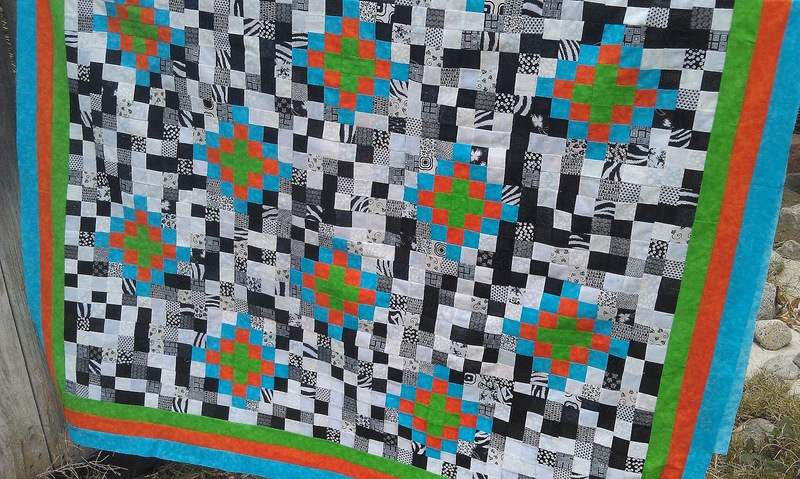 Funny story, when I started piecing the quilt together last week, I kept looking at my pile of 1.75″ squares and thinking, “Dude, there are a lot of squares left”. Then I dismissed it because, really, math was never my strong suit. 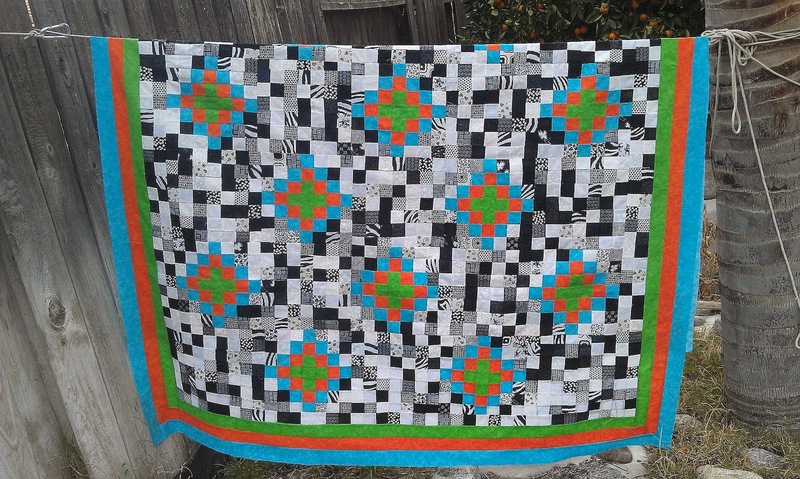 Then, after I pieced together the 35 blocks, I realized that I needed to make a border of black and white squares around the entire quilt before I added the colored border. Suddenly those extra squares made sense, LOL. So, quilt top of the year is done. I plan on hand quilting this while I start working on A’s quilt top. That is truly dedication to sew all of those tiny squares! Your top looks great. Good luck with the hand quilting. Holy small squares! That looks great, I love the bright colours you've used for the border.